Winning collections are free to read and are added to our eBooks page as they are published. A print anthology, featuring a selection of the best individual poems and haibun from the first four years of the Awards, will be published by Snapshot Press. S.M. Abeles, Jenny Ward Angyal, Susan Antolin, Joanna Ashwell, Jon Baldwin, Collin Barber, Sheila K. Barksdale, Anne Benjamin, Maureen Berry, Cathy Drinkwater Better, Johannes S. H. Bjerg, Meik Blöttenberger, Elizabeth Bodien, Nola Borrell, Alan S. Bridges, Dawn Bruce, Helen Buckingham, Owen Bullock, Allan Burns, Metod Cešek, Paul Chambers, Simon Chard, Margaret Chula, d. e. connelly, Susan Constable, Dill Darling, Janet Lynn Davis, Cherie Hunter Day, Margaret Lane Dornaus, Catherine Edmunds, Juanito Escareal, Claire Everett, Diarmuid Fitzgerald, Seánan Forbes, Lorin Ford, Kate Franks, Terri L. French, Linda Galloway, Beverley George, Nigel Gibbions, Peter Joseph Gloviczki, Katie Grant, David Grayson, Autumn Noelle Hall, Penny Harter, Karen Hoy, Mark Hutchinson, David Jacobs, Ryan Jessup, P M F Johnson, Roger Jones, Julie Bloss Kelsey, John Kinory, Catherine J.S. Lee, Stephen W. Leslie, Antoinette Libro, Erik Linzbach, Chen-ou Liu, CaroleAnn Lovin, Eve Luckring, Bob Lucky, Carole MacRury, Joy McCall, Clare McCotter, Jo McInerney, John McManus, Beverly Acuff Momoi, Genie Nakano, James Norton, Marian Olson, Clive Oseman, Kathe L. Palka, Marianne Paul, Stella Pierides, Beth Powell, Thomas Powell, Vanessa Proctor, Nu Quang, Kala Ramesh, David C. Rice, Edward J. Rielly, Mark Ritchie, Aalix Roake, Jo-Anna Roberts, Chad Lee Robinson, Carolyne Rohrig, Michele Root-Bernstein, Rosie Roumeliotis, Cynthia Rowe, Breda Wall Ryan, Max Ryan, Sue Schraer, Dan Schwerin, William Seltzer, David Serjeant, John Soules, Mathew V. Spano, S R Spanyer, Carmen Sterba, Scott Stoller, Debbie Strange, Maureen Sudlow, Alan Summers, Lesley Anne Swanson, Dietmar Tauchner, M. Franklyn Teaford, Richard Tindall, Frances Trosborg, Marilyn Appl Walker, Julie Warther, Diana Webb, Noel Williams, Rodney Williams, Sara Winteridge, Fran Witham, and J. Zimmerman. 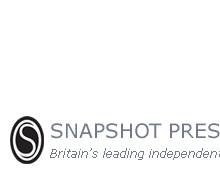 The Snapshot Press eChapbook Awards are international annual prizes for unpublished small collections of haiku, tanka, and other short poetry. The closing date for entries is July 31. Unpublished book-length collections of haiku, tanka, and other short poetry may be submitted for print publication to The Snapshot Press Book Awards. The closing date for entries is March 1.